Try Rosehip tea and no longer will the sight of a fading rose seem a sad thing to you. Wonderfully delicious and filled with the benefits of vitamin C, this tea will soon be one of your favourites. Ah, the rose! It is the symbol of love and inspiration to poets and lovers everywhere. But care not for the flower when the fruit holds the key to a healthier, fresher more energetic life! 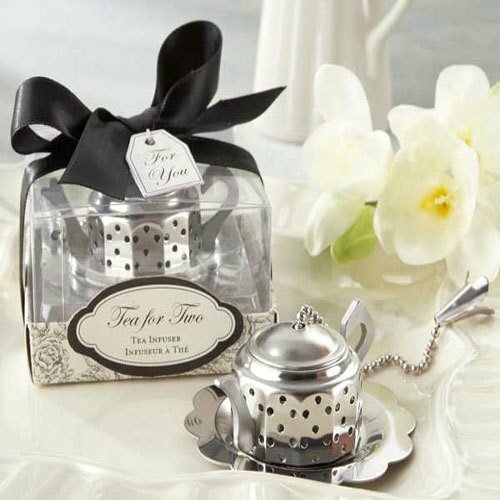 Did Shakespeare know about rosehip tea when he wrote the eternally famous lines for his play, Romeo and Juliet? By any other name would smell as sweet, (…)"
The origins of the rose still remain a mystery today, though it is believed to have originated in Persia. The known truth is that this beautiful plant is native to Europe and temperate regions of North Africa, though it can also be found growing in hedges, woods and roadsides in North America. Today there are many varieties of roses around the world, cultivated and engineered to look their best and even have petals in all colours of a painter’s palette. However, if you are searching for the richest and best rosehips, it is in the wild rose that they grow. The hips of the rosa rugosa and the rosa canina (Latin for Wild Dog Rose), contain the highest amount of vitamin C, making them the healthiest of rose teas. In the past rosa canina was used to treat bites from mad dogs, hence the curious name “Wild Dog Rose”. Its leaves were dried and infused in boiling water, often substituting tea. The wild dog rosebush belong to the apple family and ranges from 1 to 5 meters (3-16 feet approx.) in height, presenting a greenish stem with thorns, serrated bright green leaves and beautiful light pink flowers. 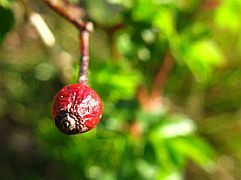 Rosehips are the reddish-coloured oval pods that form once the petals fall off. It is inside these pods that the rose seeds reside. The hips, or haws as they are sometimes called, begin to develop in spring and then ripen by the end of summer or autumn. Both leaves and petals can be used to make healthy herbal teas, but the rosehip is indeed the richest part of the plant. Though they have a meaty appearance, unlike their apple cousins, the rosehips do not have flesh beneath their skins. Instead, rosehips contain tiny seeds covered with silky hairs, being the skin of the hip the most nutritious part. Roses have been cultivated for thousands of years worldwide for different reasons – their beauty, their fragrance and also for their health benefits. 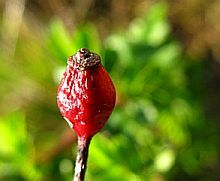 The indigenous people in North and South America, Scandinavia, Northern Europe, Northern Africa and in Central and Western Asia all drank rosehip tea for its powerful medicinal properties. The same happened in Chinese medicine, where rosehip tea was used to treat kidney and urinary problems, while in Indian Ayurvedic medicine, it was used as a mental tonic. From ancient Rome, when the rose was offered as a tribute or used in blessings, to World War II Britain, when people had to resort to this tea as a source of vitamin C, when the blockades prevented oranges and other citrus fruits from reaching the British shores. It is easy to understand that roses and rosehips have played an important role in world history. It is no wonder that today you can find thousands of rose varieties and also hybrids that have been developed for their bloom, shape, colour, size, fragrance or lack of thorns. Today, too, it is due to the fantastic health benefits present in this plant, that people not only use rosehips to prepare rosehip tea, but they also use rosehips and rose petals in jellies, jams, syrups, marmalades, beverages, breads, salads and pies. In Sweden, a much loved dish is rosehip soup. It is also a place in aromatherapy and is often used in pot pourris. 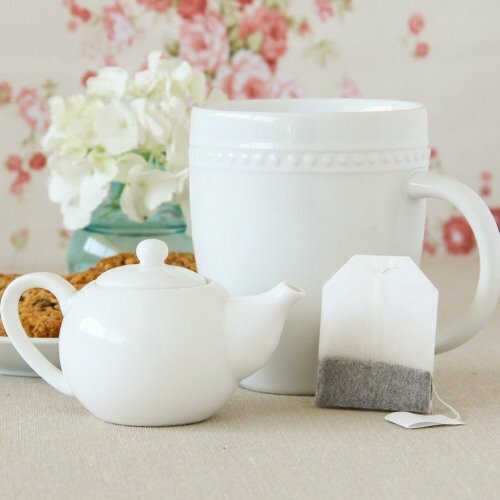 Before putting the kettle on, let’s first look at all the benefits of tea you can take advantage of. This nutritious tea stands out for being rich in vitamin C. It also contains vitamins A, B–Complex, D, E, K and P, and such constituents as calcium, sodium, magnesium, pectin, potassium, sulfur, zinc, flavonoids, carotenoids, rutin and tannins. It is also a rich source of iron along with copper, silicon, cobalt, phosphorus, ascorbic, malic and citric acid. Let's see how such richness in rosehips can help you! When suffering from a cold or flu, rosehip tea is the perfect remedy to clean the respiratory tract and clear mucous congestion, allowing you to breathe better. The benefits of vitamin C help you treat symptoms of flu, physical debility, infectious diseases and aids in convalescence. If you wish to reduce the risks of getting the flu, brew the whole rosehip, including the seeds and drink it 3-4 times a day for two weeks at the start of each cold season. Whether you drink it hot or cold, this tea contains a high concentration in vitamin C, which will help you strengthen the immune system, thus making you stronger to fight bacteria and viruses. Drinking rosehip tea on a daily basis, the antioxidants present will heal tissues, tone organs and regenerate cells, preventing premature aging. It improves vitality and longevity. The presence of vitamins A and B, gives this tea its anti-inflammatory action that clears toxins from your body and this in turn helps to treat rheumatoid arthritis. If you feel that stress and exhaustion are taking over your life, prepare yourself a cup of rosehip tea. This amazing herbal tea has antidepressant properties that help you relieve tension and stress, which often cause serious ailments. It increases nerve strength and fights off fatigue. For some summer energy, try it iced. Drinking rosehip tea on a daily basis will calm your heart and help you to feel more positive, while easing headaches and dizziness. If your children are going through teething, prepare them rosehip syrup to relieve discomfort. At the same time, you can take a cup of rosehip tea yourself. Being calm will help you soothe your baby. A hectic lifestyle often reflects on what you eat. Not always making healthy choices in terms of food may have you struggling with intestinal and stomach disorders. While rethinking your diet will surely help you in the long run, start off by drinking rosehip tea regularly. This will help you treat such ailments as stomach spasms, stomach acid deficiency, dysentery, diarrhea or hemorrhoids. Rosehips are able to prevent stomach irritation and ulcers, by acting as a pleasant and very tasty stomach tonic. It also promotes bile flow and has a mild laxative action that helps to regulate your bowel movements. By ridding your body faster of fats and harmful substances, it keeps your blood free of these toxins and lowers cholesterol. Use this tea as a gargle and treat gingivitis and other mouth viruses. Sometimes, mouth diseases may be a source of stomach problems, so always be on the lookout for such things. If you tend to suffer from urinary tract infections, welcome rosehip tea in your life. This medicinal tea acts as a kidney cleansing tonic, relieving colic, while breaking and preventing kidney stones. This diuretic property of rosehip is what also comes to your aid when you suffer from a bladder infection. By increasing your flow of urine it rids you of toxins as well as the accumulated water in body tissue, offering relief from mild rheumatic pain and the reduction of joint pain in arthritis patients. The absorption of iron during pregnancy is quite important to the production of hemoglobin in the mother and fetus. 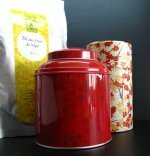 Being rich in iron, rosehip tea may be the right tea to keep you company during this important stage of your life. Being rich in iron also means that it may help replace blood lost during the menstrual period. At the same time, this tea regulates hormone levels and eases menstrual pain. Once again, the benefits of vitamin C in rosehip tea are plenty. It is this vitamin that helps to increase the amount of estrogen the body absorbs, as well enhancing the effects of this hormone. This herbal sedative is wonderful to keep your heart healthy. When drunk regularly, the presence of tannins and flavonoids in a rosehip infusion, make this a wonderful herbal tea that is able to treat varicose veins and strengthen the body’s capillaries. Flavonoids also help your body to absorb vitamin C better. This vitamin will in turn provide additional strength to your circulatory system. So not only does this tea have the constituents that aid your circulatory system, but it helps your body to absorb them better as well. Moreover, this blood tonic, as a circulatory aid, may also give a hand to treat and cope with aneurisms, thrombosis, clotting, tissue destruction and trauma. And if you need any extra motivation, just remember that healthy blood flow usually results in a healthy and more beautiful skin, as oxygen reaches cells faster and toxins are not allowed to take hold. Keep your skin from aging prematurely by taking rosehip on a regular basis, and let the antioxidants in this tea prevent damage to cells. Take this tea internally for hydrated skin or apply it topically to treat skin allergies, heal wounds, edemas and burns. Externally, it may act on the pain caused by gout, rheumatism and sciatic, while internally it will help remove the inflammation causing these illnesses. This cleansing action helps to tone organs and keep muscles and bones healthy. This herbal tea can help provide good vision, especially for elders. In turn, rose water, made from rose petals is great as an eye wash. It helps treat irritation and clean your eyes. And it is safe for children. Dip soft cotton balls in rose water and clear away dirt from your child’s eyes. It is refreshing and in addition that rosy scent is so soothing. Another great thing about drinking rosehip tea on a regular basis is that you will be protecting yourself against cancer as you sip each cup, especially prostate cancer. Rosehips contain a high concentration of lycopene, a cancer preventing nutrient, which commonly is found in red fruits and vegetables. A final note on rosehip tea benefits should be focused on what a healthy alternative this tea presents as a source of vitamin C. Where citrus fruits like oranges contain a large amount of sugar, this is not the case for the rosehip. So whether you are diabetic or trying to lose weight keep this option in mind next time you need to give your body a boost. Ready to take a sip of this tea? There are little to no side effects to rosehip tea. However, there is always the possibility that an allergic reaction may occur. For example, be aware that inhaling rosehip dust may bring on allergic reactions in some people, so be mindful when handling any dust caused by crushing and treating the rosehips for your tea. Allergic reaction to the tea itself may bring on such side effects as nausea, vomiting, diarrhea, heartburn, stomach cramps, fatigue, headaches, inability to sleep and others symptoms. Just pay attention to any of these signs and stop taking rosehip tea if you experience them. Begin your battle against the common cold and other infections today! Let’s learn how to make rosehip tea. Though you can find rosehips in natural food stores, you may also take advantage of your own rose bushes to make your cup of rosehip tea. You can either use dried or fresh rosehips, though it is believed that the drying process will cause rosehips to lose their nutritional value. First, allow the rose blossoms to naturally fade on the plant and fall. Rosehips will start to develop, first green, then turning yellow and finally becoming red. The best time for harvesting is between October and November. The hips should be soft but not mushy and you should break the stems off after picking them. Next, discard any discoloured hips; rinse and spread the remaining good ones on a stainless steel cookie pan to partially dry them out. Do not let dry completely or you will have a hard time cutting each hip and removing seeds and hairs. Once cut and cleaned let the little shells finish the drying process. Your beautiful rosehips will become dark and gain a hard, semi-wrinkly appearance. Finally, place the dried herb in plastic freezer bags for as long as you wish or in the refrigerator for a few months. You can make this tea using either whole rosehips or crushed into pieces, either fresh or dried. When brewing tea with whole rosehips use about 5 hips (or 2 teaspoons, if you are using chopped hips) per cup of hot water. Be careful not to boil the hips, otherwise they will lose their high content of vitamin C. Always use this infusion method. Let your tea steep for 10-15 minutes. Remember to cover your tea when steeping. This tea has a bit of a tart, sweet and sour taste, though it is very refreshing, so sweeten it with honey. Honey will not only make your tea taste better, but it will enhance its healing power. Sugar, on the other hand, may be sweet but it kills the anti-bacterial action of your herbal infusion. Your tea is now ready to drink. It has a beautiful pinkish colour, it is warm and it smells wonderfully, but you can still go a step further. To make the flavour even more interesting, try blending rosehip with hibiscus tea, this will add a hint of lemon to the overall flavour of your tea. You may drink 3 to 4 cups a day of this herbal tea. Drink it lukewarm at bedtime for maximum effectiveness. If you are trying to fight common cold symptoms or to break a fever, then it’s even more effective if you get under the covers right after taking this warm tea. If you want to continue your adventure through this amazing world, try brewing rose leaf tea. 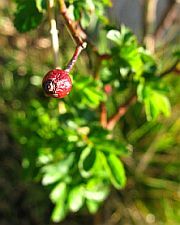 The leaves of the dog rose, when dried and infused in boiling water, have an amazing smell and a sub-astringent taste. This herbal infusion has often been used as a substitute for tea made from actual tea leaves. In summer, this tea can be iced to make a refreshing drink that will restore your energy levels. Finally, it’s best not to store rosehips in metal containers as they can taint and discolour the rosehips, ruining your perfect tea experience. Next spring please think twice before picking all the roses from your rosebushes. They may look lovely in a vase indoors, but leave some behind to turn into hips. Buy Your Rosehip Tea Today! 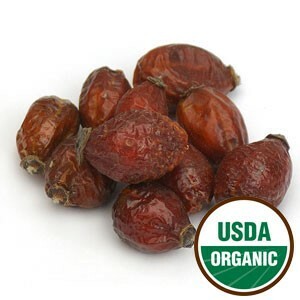 Click on the image or on the links below to purchase from Starwest Botanicals your Organic Rosehips. A great way to brew up a rosehip infusion is to use whole rosehips, cut or powdered. Drink a cup of vitamin C.
Let the inner beauty of roses continue to fill your summer and autumn with a tasty and healthy beverage.